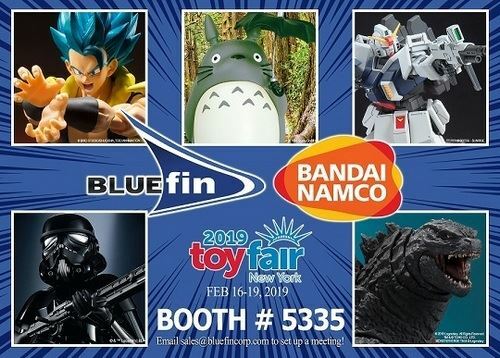 Bluefin, a Bandai Namco group company and the leading North American distributor of toys, collectibles, and hobby merchandise from Japan and Asia, has detailed its exhibit showcase for Toy Fair 2019. Storm Collectibles expands its line of legendary video game characters with Baraka from Mortal Kombat. Baraka led the attack against Liu Kang’s Shaolin Temple and he belongs to a nomadic race of mutants living in the waste-lands of the Outworld. Baraka's fighting skills gained the attention of Shao Kahn who recruited him into his army. As a “kontestant” in the Mortal Kombat tournament, he will ensure his emperor’s claim to Earthrealm. Superior articulation allows one to recreate all of Baraka’s signature fighting moves. Accessories include: Interchangeable Head Sculpts, Interchangeable Blades, Interchangeable Hands and Blade Spark Effect Injury Effects.